Every want to put some personal decorating touches in your house? 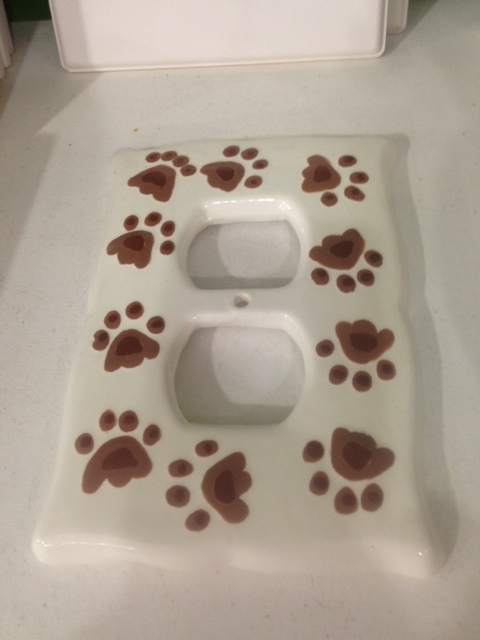 On a recent visit to Clay Hand Pottery, at 10086 Main Street in Clarence, we discovered that one of the items you can paint are wall plates and light switch plates. With the help of a Clay Hand Potter staffer, you would select your plate, create and paint a design on the plate, then return a few days later after your masterpiece has made it through the kiln. A fun project for any room. You can learn more about Clay Hands Pottery by visiting here.